Ellington Realty Group is a proud sponsor of the Urban Trail event at the very exciting upcoming food festival, Chow Chow. 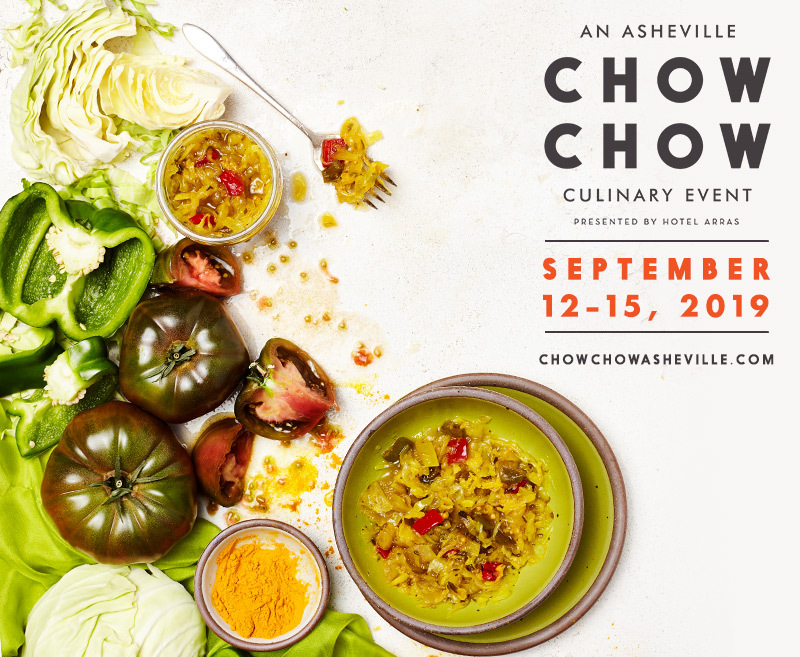 Asheville, NC’s new culinary spectacular, Chow Chow, welcomes everyone to the table September 12-15, 2019. Named for a piquant vegetable slaw that has perked up generations of Appalachian dinner plates, this immersive festival celebrates the bounty of the ancient landscape that envelops the city. Here where food and creativity flow like the rushing streams and rivers of the surrounding Appalachian Mountains, local taste-makers prepare and share meals that nourish the soul as well as sustain the land. The festival’s lineup includes grand tasting events, chef demonstrations, charitable collaborations, and a unique array of hands-on experiences in and around town. In Asheville, the table is always set—and Chow Chow invites all to feast on the abundance. Go to chowchowasheville.com for tickets to the events. You don’t want to miss this! The Brokers and Associates of Ellington Realty Group are licensed by the state of North Carolina.